The Baker Museum proper and the Museum Store are closed for the 2018-19 season. However the Hayes Hall Jewelry Counters are open one hour before each performance and during exhibitions in the Hayes Hall galleries. 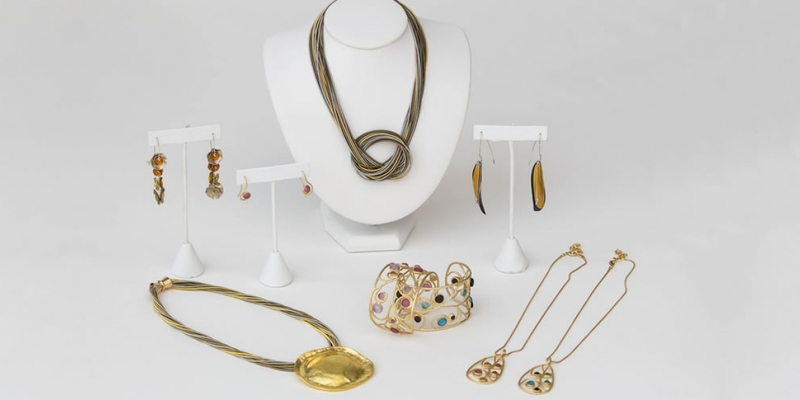 Stop by the Jewelry Counters for that unique gift or artistic conversation piece. You’ll find an eclectic mix of jewelry and accessories crafted by local artists and globally renowned designers. Friends of Artis—Naples receive a 10 percent discount with their donor benefit card. Become a supporter today. 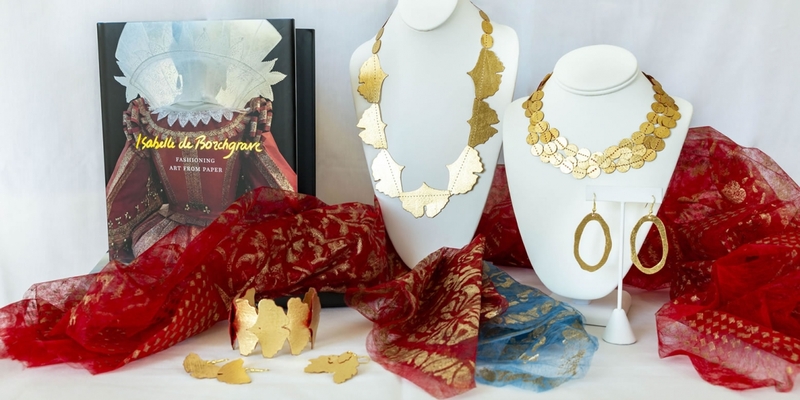 Accompanying this season’s Isabelle de Borchgrave: Fashioning Art from Paper exhibition is a collection of pieces for purchase designed by Isabelle de Borchgrave. All items are crafted in the spirit of the artist’s work — in paper — and imported from the artist’s studio in Belgium. 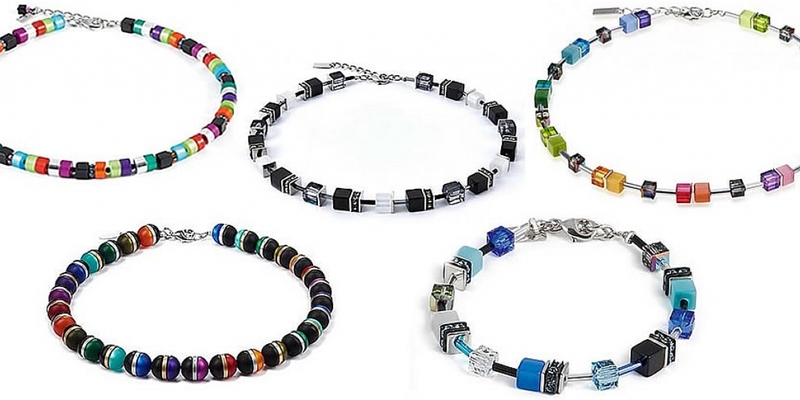 The jewelry and scarves are light and easy to wear, sure to make wonderful conversation pieces. The Hayes Hall Jewelry counter offers an exclusive mix of unique jewelry highlighting unusual materials and exceptional handcrafting. Coeur de Lion jewelry combines minimalistic design with unusual color combinations, gemstones and pressed glass, making them elegant, exciting and timeless. 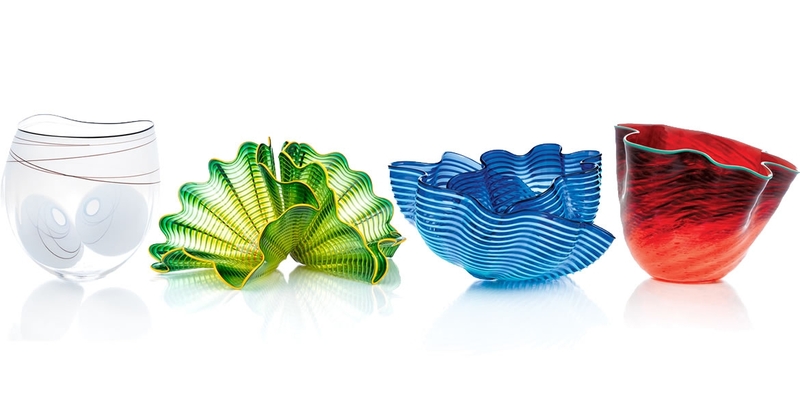 Take home your own original Chihuly — each Chihuly Workshop Studio Edition is handblown and signed by the artist, Dale Chihuly. 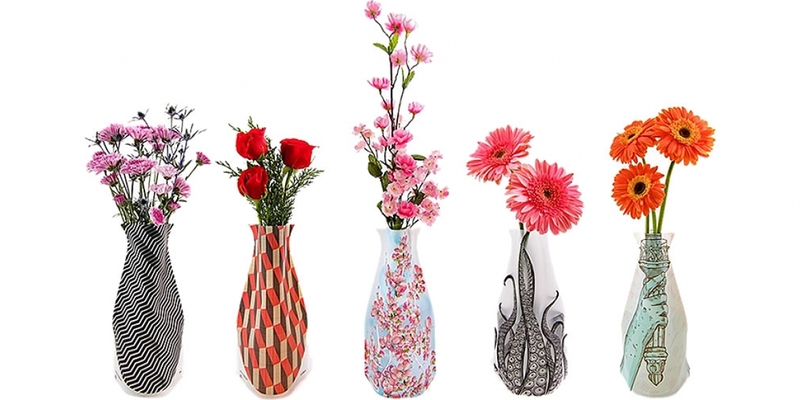 Innovative home-goods items dedicated to bringing modern convenience and simplicity to everyday life.